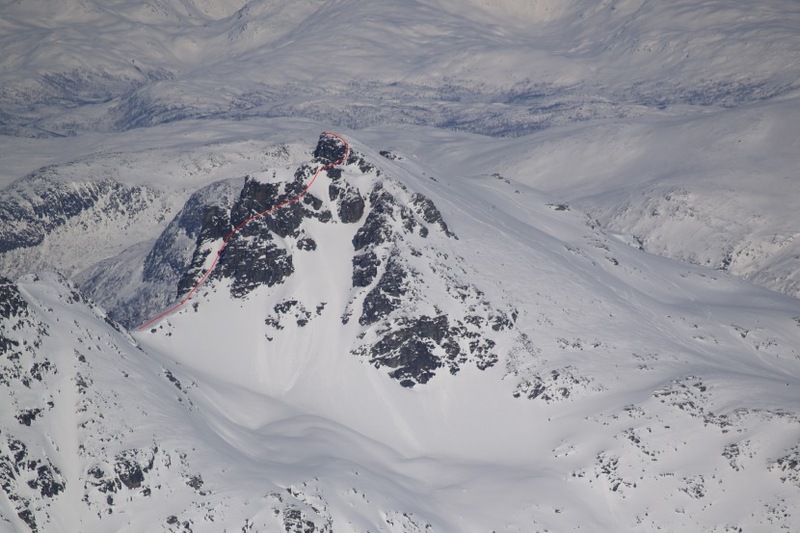 A telephoto of Buren´s South Face taken from Skitntinden (1042). 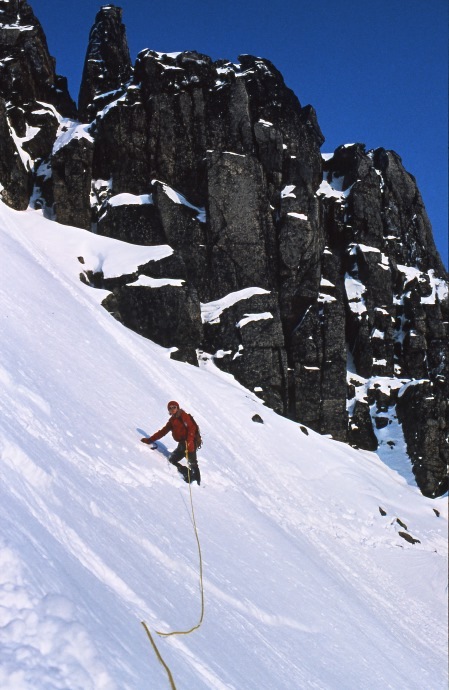 The West ridge was climbed together with Bjørn Arntzen and Karl-Otto Sandvik, 24. March 1979. 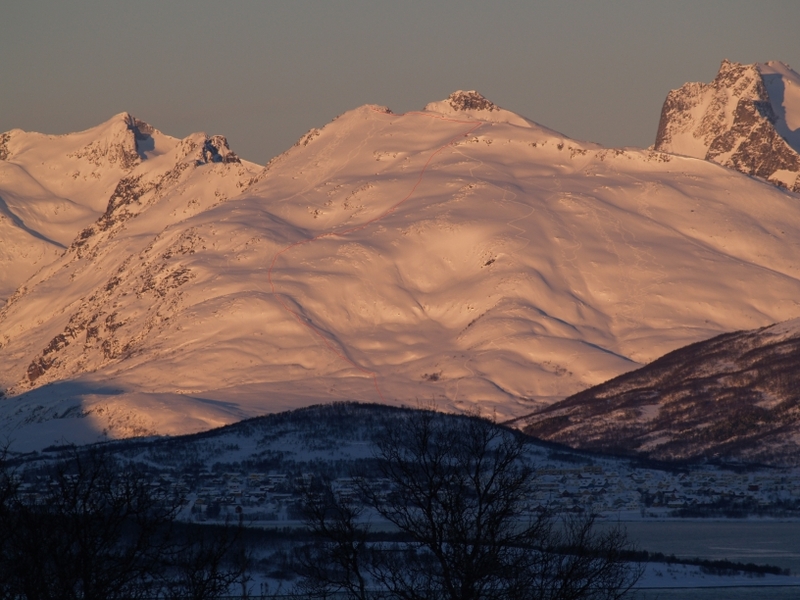 The South-East side of Buren has one of the most popular ski/snowboard routes in Tromsø. 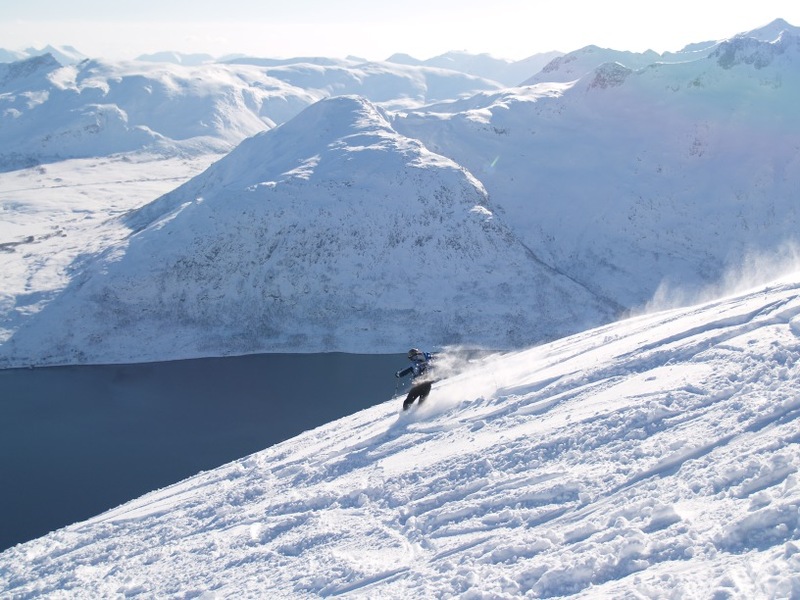 Start from Susannajorda in Kaldfjorden. 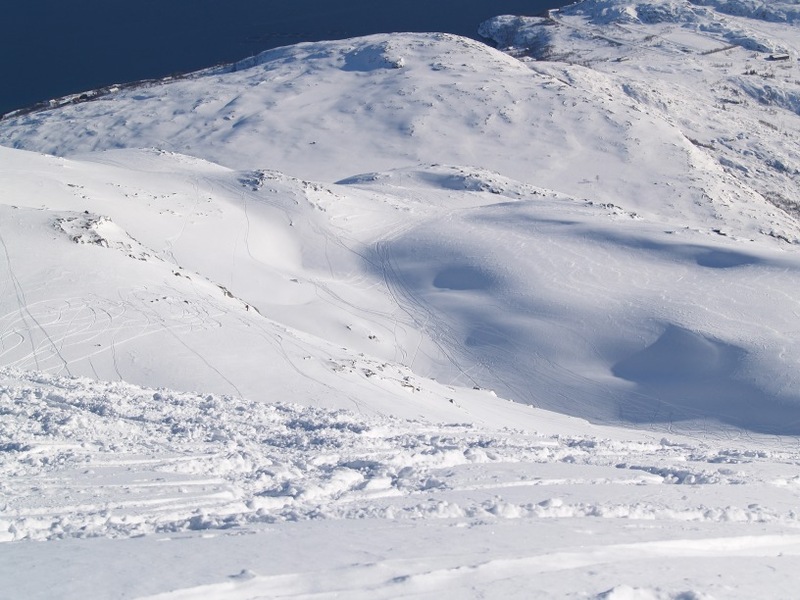 The descent from the summit is steeper than it looks like on this picture. See pictures below. The South-East side of Buren as seen from Rødtinden. 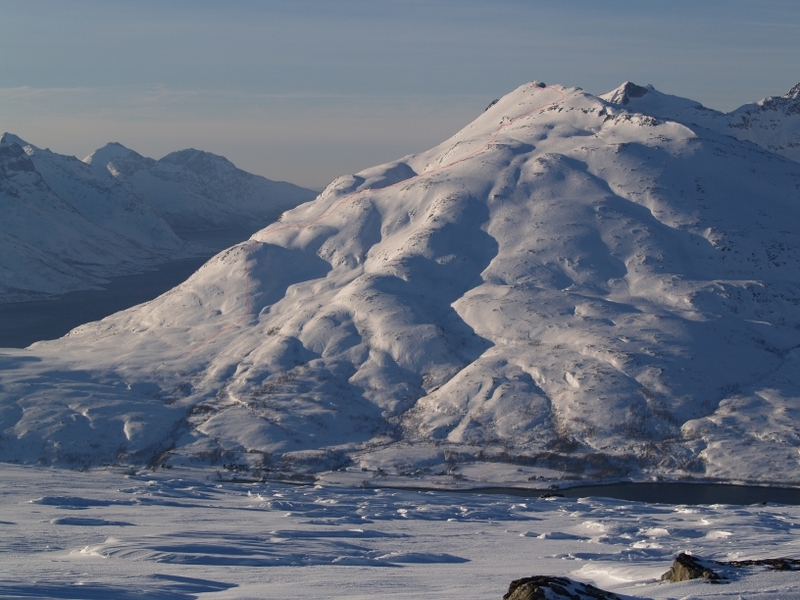 A view from the summit of Buren.